Hey guys and Happy Friday! We made it to the end of the week in once piece and school seems to be going smoothly for my little ones. Today is my youngest boy’s birthday! He is officially a 7-year-old, technically not until 10:15 tonight but who’s counting. I’m just so proud of who this little boy is becoming. He had one request for his Birthday and that was a meat and cheese tray, he is his father’s child for sure. We are having a dual party for him and my daughter tomorrow since her Birthday is next Friday so this post is going to be short and sweet today since this mama has some baking to do! So I’m a big cake person. I love making my kids special cakes/cupcakes for special occasions! Now obviously I’m not a professional, but this is just a fun side project I like to do. Once I get the ones made for this weekend I’ll share the pics with you next week. These pics are just from last year for Avery and Nova. Sadly I didn’t get pictures of the other 2 boys cakes but they were football and batman, so you can imagine! Now moving on to today’s recipe! 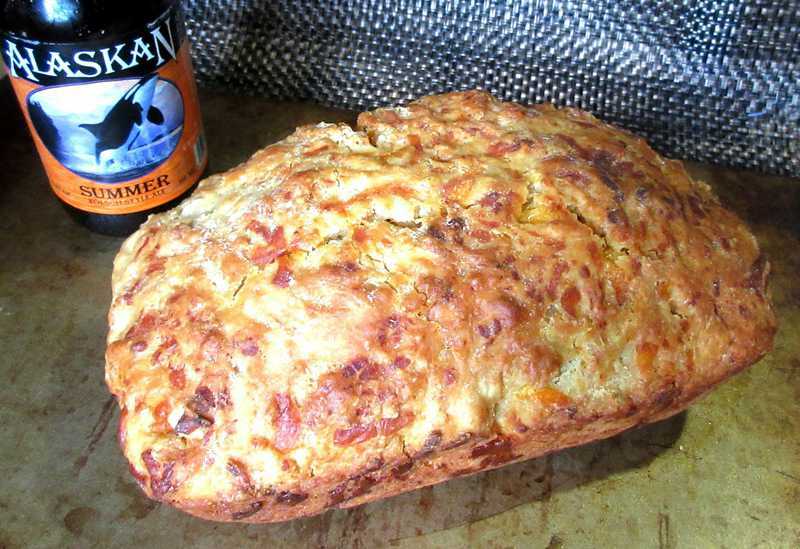 I revamped my cheddar bread recipe and added beer. I love beer bread so I mixed the two together and it was absolutely amazing. One of those breads that you just can’t stop eating. I had the bread for dinner last night, yup, that was my meal! We bought a case of beer just to make my beer brats a while back and I had this whole case left to use up, since I’m not a drinker. So lot’s of beer baking recipes have come about in my kitchen lately. Some awesome and some…eh not so much. We all have those. So I hope you all have an amazing weekend and I’ll be back bright and early Monday morning, hopefully with something creative! In the meantime, make this bread. Your taste buds and belly will absolutely love you! Pre-heat oven to 350 and grease a 9x5" loaf pan. In medium bowl whisk together flour, sugar, baking powder and salt. Slowly stir in your beer and warmed honey until just combined. Be careful not to over mix. Spoon dough into prepared pan and bake for 40 minutes. Remove pan from oven and brush melted butter on top of bread, return to over for another 10-15 minutes or until top is golden and toothpick comes out clean. 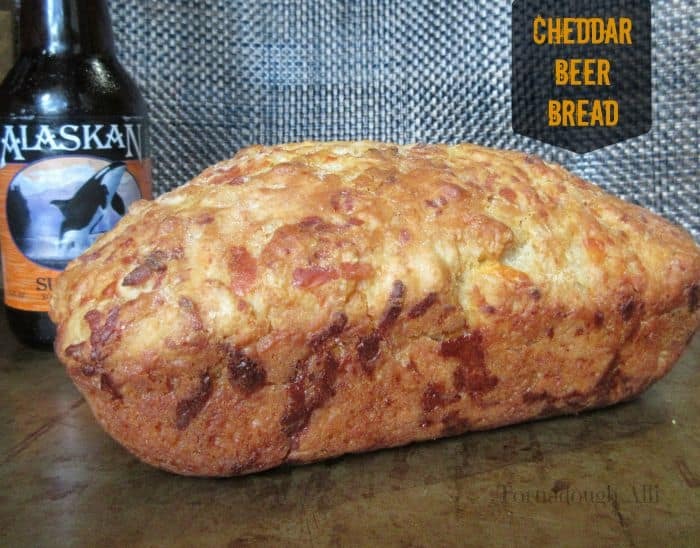 I love beer bread but never have made my own. I am going to try this soon, it looks soooo good, thanks for sharing! Visiting from Friday’s Five Features. Thanks for stopping Cheryl! 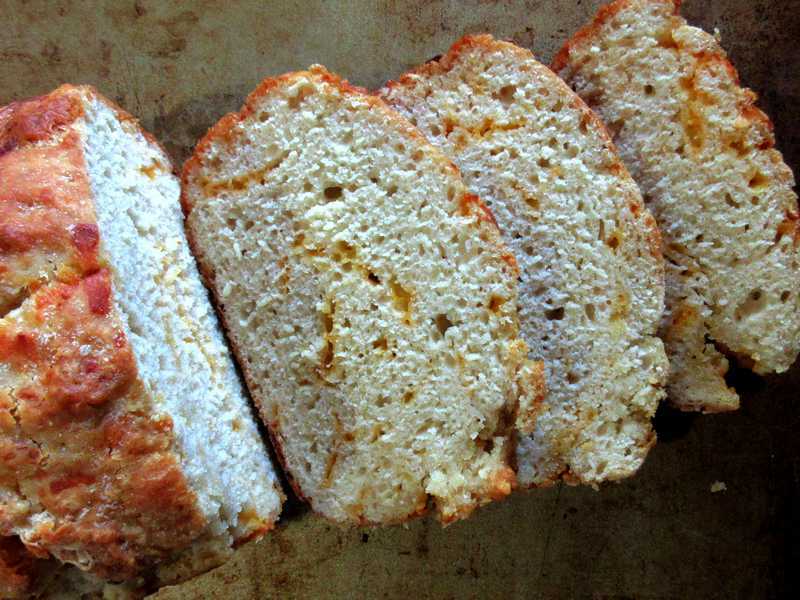 Beer bread is one of my favorites to make, seriously simple! This looks delicious too! Perfect for tailgating or with a nice soup. This would be great dipped in some chili when the weather gets cooler! Thanks so much for linking up to Saucy Saturdays! This is definitely going into my recipe box! Thanks for sharing. Thanks for stopping by Beth! This bread is one of our faves! Because I love beer (and so does my husband but I’m the one baking! ), I’m definitely trying this, perhaps on Sunday for game time! 🙂 Thanks for sharing Allie! This would be awesome for game time! I could eat this in all one sitting for sure!! Thanks for swinging by Katie! Thanks Sinea! This was a real hit.